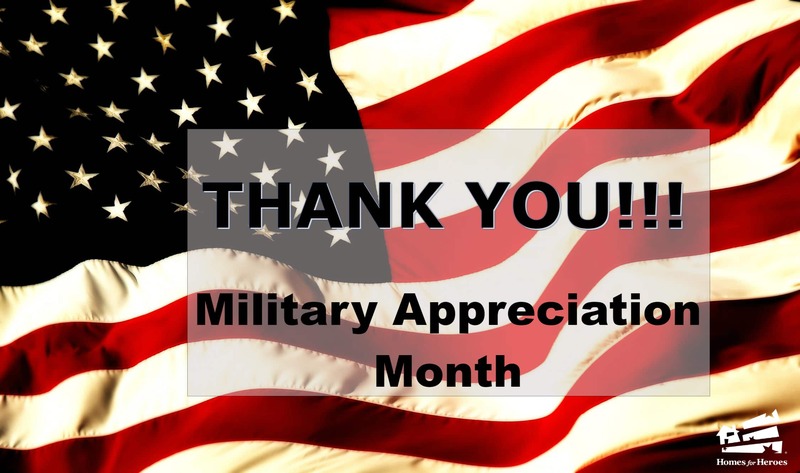 May is known as National Military Appreciation Month, giving us the chance to honor our military service members past and present, as well as their families. Senator John McCain proposed legislation in 1999 to choose May as National Military Appreciation Month. Both the House and Senate agreed that it was a great idea for Americans to honor and recognize U.S. Military Members during May. 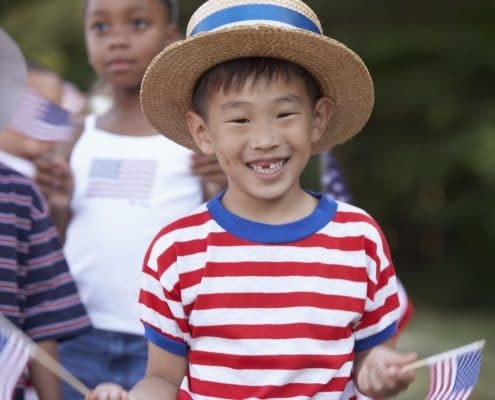 Although we can and should show our appreciation throughout the year, you can find specific May celebrations to participate in, including Public Service Recognition Week, VE DAY, Military Spouse Appreciation Day, Armed Forces Day, and Memorial Day. The Public Service Recognition Week was created to pay honor to the men and women serving our nation as employees of our federal, state, county, and local governments. Public Service Recognition Week starts on the first Sunday of the month and lasts until the following Saturday. This year, it will begin on Sunday, May 6, and will go until Saturday, May 12. Award ceremonies happen during this time, held by mayors, agency leaders, and governors, as well as public service organizations and communities. This week is a time where we can show our appreciation to public employees for their service. On May 8, both the United States and Great Britain celebrate VE Day. In 1945, May 8 marked the day when German troops all over Europe laid down their weapons, surrendering in World War II. Today, flags and banners are put out, showing our appreciation of the defeat of the Nazi Regime. Our nation celebrates Military Spouse Appreciation Day every May on the Friday before Mother’s Day, making this year’s on Friday, May 11, 2018. Military Spouse Appreciation Day gives us the chance to honor those who make sacrifices every day as their families fight for our freedom, usually away from home. Our military service members leave home to keep us safe and free, and their spouses and children have to stay behind, feeling the stress and responsibility of being without them. This year’s Armed Forces Day is on May 19, 2018. 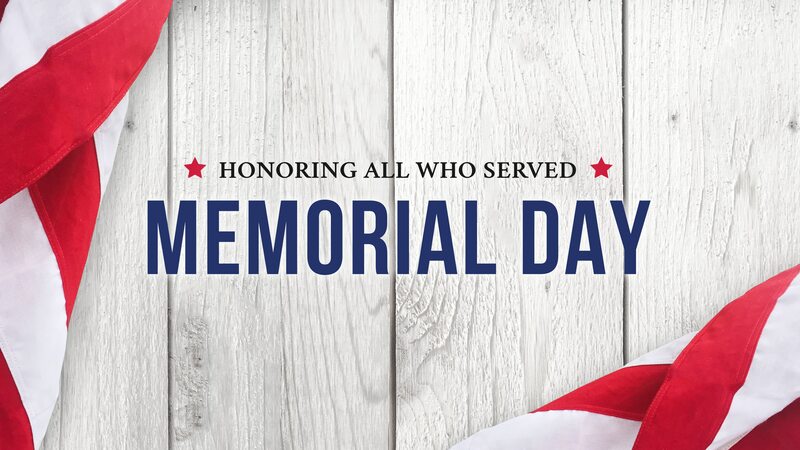 President Truman made the day official in 1950 so that the United States could come together to honor and pay tribute to our military service members and all that they do to fight for our freedom and keep us safe. Probably one of the most well-known of the military appreciation days in May, Memorial Day is the final military recognition of the month. Three years after the end of the Civil War, in 1968, the Grand Army of the Republic, an organization of Union veterans, created Decoration Day. The nation could, on this day, decorate the graves of fallen war soldiers with flowers. Major John A. Logan suggested that this day take place on May 30, possibly because flowers were usually in bloom all over the United States at this time, making it the perfect time of year to honor the fallen soldiers of the Civil War. Today, Memorial Day ceremonies include speeches, parades, music performances, as well as wreath-laying ceremonies at local and national VA cemeteries. What Can I Do To Show My Appreciation in May? Many military ceremonies and programs show appreciation to the military on bases around the country. Citizens do not always attend those events, so we can help in our local communities in other ways to show we care. 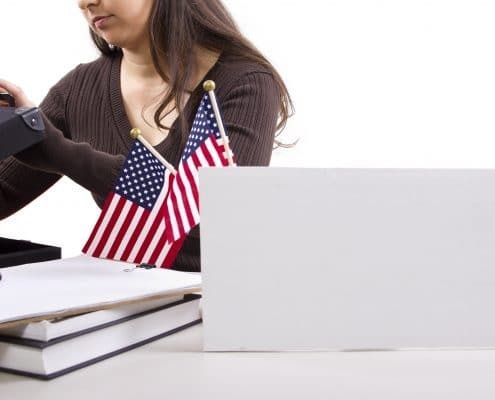 If you have any connection to a school, whether you’re a college student, the parent of a first grader, or a high school teacher, you can work with teachers, deans, or principals to incorporate curriculum related to the military for May. Teaching students about the sacrifices military service members make on a regular basis help the students understand what a commitment it is. You can also include guest speakers, or find out if there are ways you and your students can help veterans in your community. Click here to find your local Veterans of Foreign Wars Post to inquire into ways of how you can help. Contact your local Disabled American Veterans to find out how you can volunteer to help veterans in your area. VA hospitals, clinics, and nursing homes are always looking for volunteers to help drive veterans to their doctors’ appointments, or just to provide companionship for them. You can help them participate in recreational activities, or just spend the day listening to their stories. Giving just one hour a week can make such an incredible difference in the lives of our veterans. Operation Gratitude is a group who sends care packages to troops, first responders, military families, and veterans, as well as wounded heroes and their caregivers. Packages include non-perishable snacks, personal letters of appreciation, handmade items, entertainment, and hygiene items. You can work with Operation Gratitude by holding a donation drive for things they need for the care packages, or by volunteering yourself. 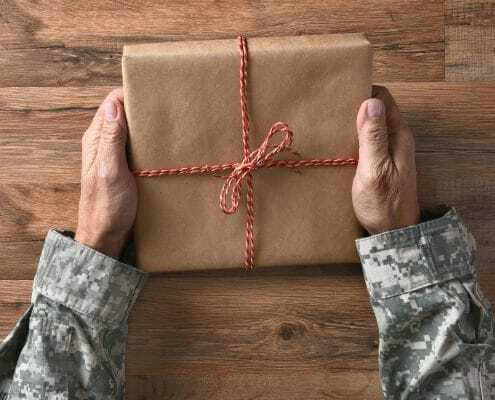 Click here for a wish list of items that Operation Gratitude likes to send our military members. Operation Gratitude is a great way to help get your son or daughter, as well as other kids in the community involved. 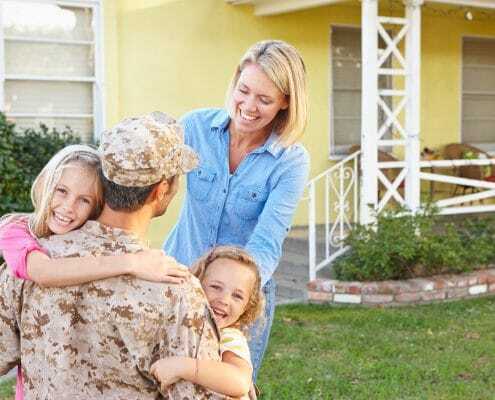 Offer to help a military spouse in your community, whether it’s offering to babysit, paint a room, mow a lawn, or help drive kids to their after-school activities. Helping with just a few of the daily chores takes a load off of spouses who are taking care of everything on their own while their husband or wife is away fighting for our safety and freedom. Homes for Heroes appreciates all of our service men and women, past and present, for all the sacrifices that you make. Our organization was created to give back to each of our communities and its Heroes that serve each of us so unselfishly. We appreciate that you give your life, time, and devotion to ensure a better tomorrow for all of us. Thank you to all of our veterans, reservists, retired service members, and active soldiers that have given their all to us. We appreciate you always.